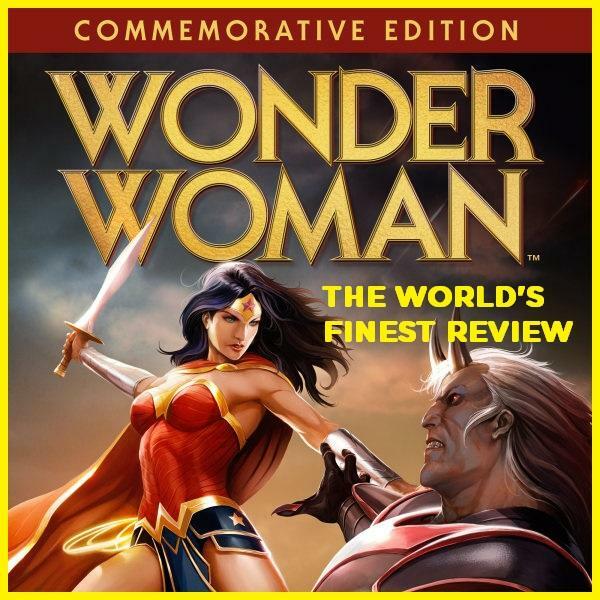 The World’s Finest has published its review of the Wonder Woman: Commemorative Edition Blu-ray release, which is now available to own. In short, Wonder Woman: Commemorative Edition is definitely a great purchase for those looking to pick up this movie for the first time. However, fans who own the previous 2009 Blu-ray release might not find this new edition a worthwhile purchase. To find out more on what’s on this new release, and what’s been left out, click on the image below. The above review includes four newly-released clips from the Wonder Woman animated movie. And, for more content – including other reviews, exclusive interviews and so much more – check out the The World’s Finest Wonder Woman subsite. Wonder Woman: Commemorative Edition is now available for purchase, through online and traditional retail outlets, on Blu-ray/DVD and in digital formats. Warner Bros. Home Entertainment has also released a special montage clip from Wonder Woman to promote the new release. Check it out in the player below. 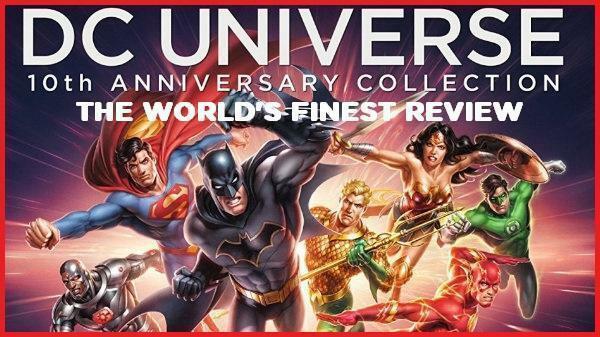 On a related note, The World’s Finest also reviewed the recent DK Publishing hardcover release Wonder Woman: The Ultimate Guide to the Amazon Warrior. To check out that review, which includes brief thoughts on the Lego DC Comics Super Heroes – The Awesome Guide book title, simply click here. 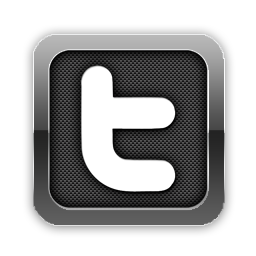 Stay tuned for further reviews and updates in the weeks to come right here at The World’s Finest. 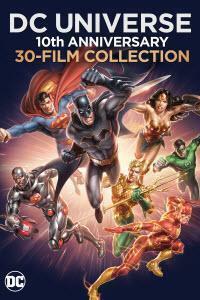 Click here to discuss the Wonder Woman: Commemorative Edition animated feature. Warner Bros. Home Entertainment has officially announced an upcoming special re-release of the acclaimed 2009 Wonder Woman animated movie. Wonder Woman presents a fresh spin on the origin of the classic DC Comics icon, and is heralded as one of the best DC Universe Animated Original Movie titles. Details for the upcoming Wonder Woman: Commemorative Edition release, hitting digital outlets on May 2nd, 2017 and Blu-ray and DVD on May 16th, 2017, can be found below. The trailer for Wonder Woman: Commemorative Edition can be viewed in the player below. 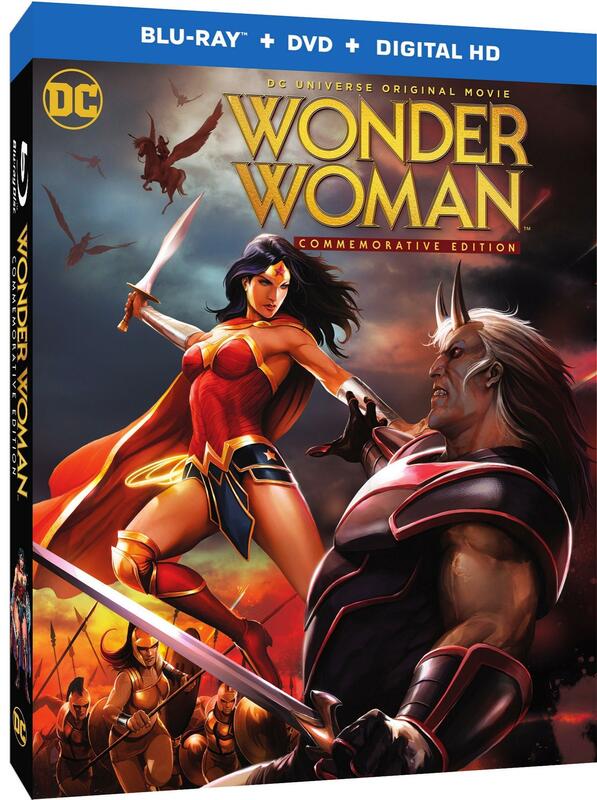 Return to the realm of Amazonian warriors, Greek gods and mythological creatures – all unleashed on modern civilization – as Warner Bros. Home Entertainment honors the world’s greatest female super hero with the release of Wonder Woman: Commemorative Edition. 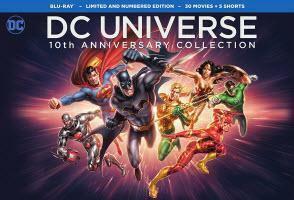 The feature-length, PG-13 rated animated film, one of the best-reviewed entries in the decade-long history of the DC Universe Original Movies, will be distributed on Digital HD on May 2, 2017 and on Blu-rayTM Combo Pack and DVD on May 16, 2017. Wonder Woman: Commemorative Edition will be available on Blu-ray™ Combo Pack ($24.98 SRP) and DVD ($19.98 SRP) starting May 16, 2017. The Blu-rayTM Combo Pack includes copies of the film on Blu-ray Disc, DVD and Digital HD. On the mystical island of Themyscira, a proud and fierce warrior race of Amazons have raised a princess of untold beauty, grace and strength – Diana. When U.S. fighter pilot Steve Trevor crash-lands on the island, the rebellious and headstrong Diana defies Amazonian law by accompanying Trevor back to civilization. Meanwhile, Ares (the God of War) has escaped his imprisonment at the hands of the Amazonians and has decided to exact his revenge by starting a World War that will last for centuries and wipe out every living being on the planet, starting with the Amazons. 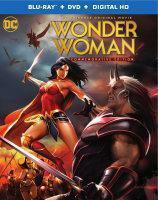 It is up to Diana to save her people and the world – by using her gifts and becoming the ultimate Wonder Woman! Led by Golden Globe award winner Keri Russell (The Americans, Waitress, Felicity) as Diana/Wonder Woman, the all-star cast includes four-time People’s Choice Awards winner Nathan Fillion (Castle, Firefly) as Steve Trevor, three-time Tony Award nominee Alfred Molina (Spider-Man 2, Chocolat) as Ares, Rosario Dawson (Daredevil, Sin City) as Artemis, Academy Award® nominee Virginia Madsen (Sideways, Candyman) as Hippolyta, David McCallum (NCIS, The Man From U.N.C.L.E.) as Zeus, Emmy® Award winner Marg Helgenberger (CSI, China Beach) as Hera, Oliver Platt (X-Men: First Class, Chicago Med) as Hades, and Vicki Lewis (NewsRadio, Godzilla) as Persephone. Produced by Warner Bros. 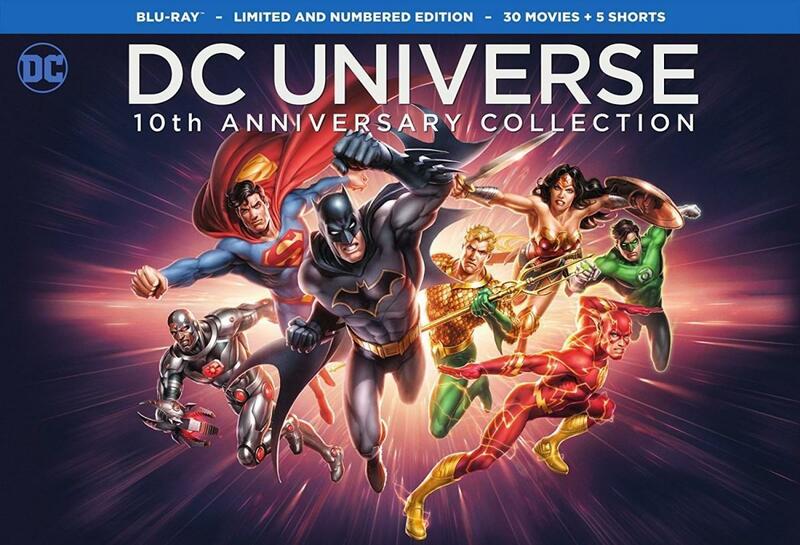 Animation and DC Entertainment, Wonder Woman: Commemorative Edition is directed by Lauren Montgomery (Batman: Year One, Justice League Doom, Voltron) from a story by Gail Simone (Birds of Prey, Secret Six) and Michael Jelenic (Batman: The Brave and the Bold, Teen Titans Go!) with a screenplay by Jelenic. 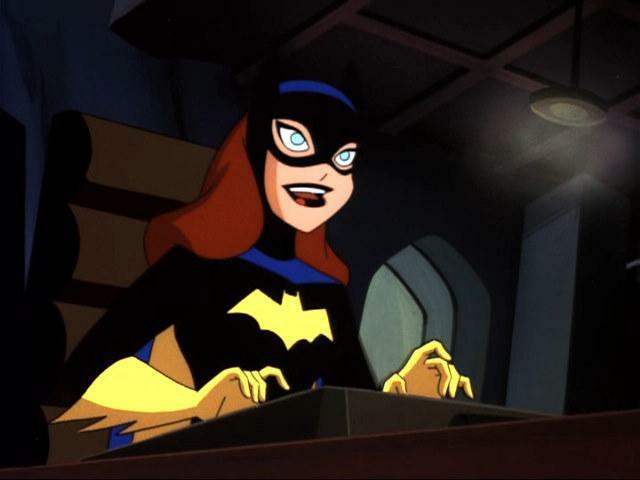 Sam Register serves as executive producer, and Emmy® winner Bruce Timm (Batman: The Killing Joke, Batman: The Animated Series) is producer. -Featurette – What Makes A Wonder Woman: For 75 years, Wonder Woman has resonated with audiences because of her loving nature and quest for truth. Hear some of her biggest fans and fellow creators discuss how her qualities have crafted her into the icon we know today. -Sneak Peek – Batman and Harley Quinn: Sneak peek at the next DC Universe Original Movie, Batman and Harley Quinn, featuring the talented filmmakers and voice cast. -Creative Team Commentary: Scene and film analysis by producers Bruce Timm & Gregory Noveck, director Lauren Montgomery and screenwriter Michael Jelenic. -Featurette – Wonder Woman: A Subversive Dream – A definitive look at a psychologist’s dream, and the rich history of one of the pillars of DC Comics. -Featurette – Wonder Woman: Daughter of Myth – This revealing documentary explores the archetype and tradition of the female DC Comics Super Hero. 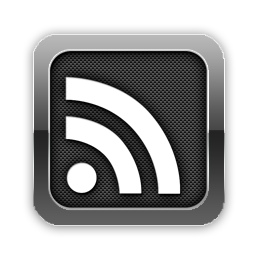 Digital HD allows fans to watch a digital version of their movie or TV show anywhere, on their favorite devices. 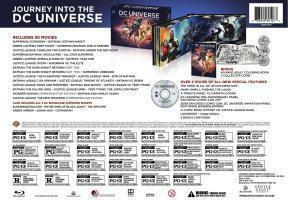 Digital HD is included with the purchase of specially marked Blu-ray discs. Digital HD allows consumers to instantly stream and download movies and TV shows to TVs, computers, tablets and smartphones through UltraViolet retail services like CinemaNow, Flixster, VUDU and more. 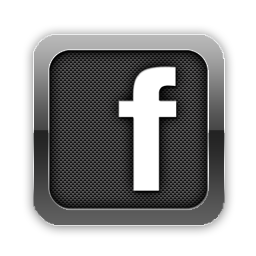 For more information on compatible devices go to wb.com/ultravioletdevices. Consult an UltraViolet Retailer for details and requirements and for a list of HD-compatible devices. WONDER WOMAN and all related characters and elements are trademarks of and ©DC Comics. Warner Bros. Animation (WBA) is one of the leading producers of animation in the entertainment industry, producing and developing projects for multiple platforms, both domestically and internationally. 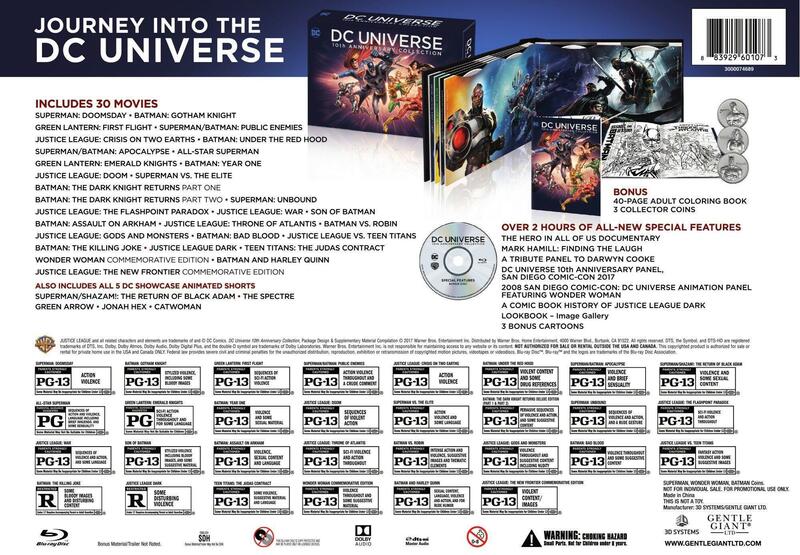 WBA’s TV series include Justice League Action and Teen Titans Go! for Cartoon Network; Be Cool Scooby-Doo!, Bunnicula, Dorothy and the Wizard of Oz, The Tom and Jerry Show, Wabbit-A Looney Tunes Production and Wacky Races for Boomerang; Mike Tyson Mysteries for Adult Swim; Right Now Kapow for Disney XD; Green Eggs and Ham for Netflix; and the forthcoming Young Justice. 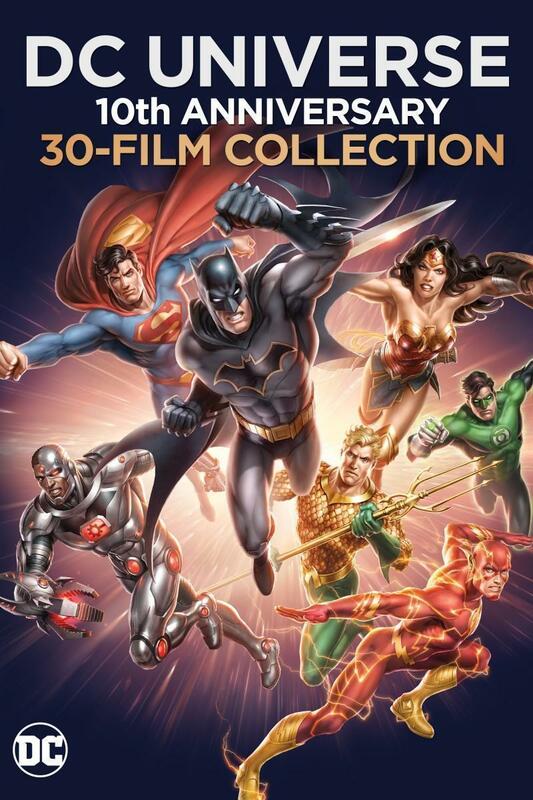 As home to the iconic animated characters from the DC Comics, Hanna-Barbera, MGM and Looney Tunes libraries, WBA also produces highly successful animated films — including the DC Universe Original Movies — for DVD, Blu-ray® and digital media. One of the most-honored animation studios in history, WBA has won six Academy Awards®, 35 Emmy® Awards, the George Foster Peabody Award, an Environmental Media Award, a Parents’ Choice Award, the HUMANITAS Prize, two Prism Awards and 20 Annie Awards (honoring excellence in animation). Further details on the Wonder Woman animated feature – including a wealth of images, interviews and behind the scenes content, as well as reviews – can be found at The World’s Finest Wonder Woman subsite. To discuss this news, click on the link below. 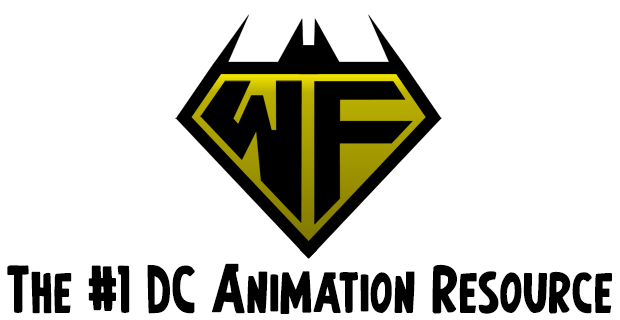 Discuss Wonder Woman on The DC Animated Forum!